Another year has quickly come to an end for us and I’d like to start by thanking each and every one of the IBAH board members for helping to ensure we were able to offer the best association we could. To our IBAH board members, we greatly appreciate all the time you devoted to this board throughout this past year. All of you have made this year a pleasure to be the President of the IBAH. I’d also like to thank each of our associate members for your continued support and participation. Everything you attend does not go unnoticed and the support you provide is significant. Continued our offering of pertinent educational seminars providing knowledge on today's events and tomorrow's problems. Completed three offerings of Basic Broker Program now facilitated by Julie Ryan. 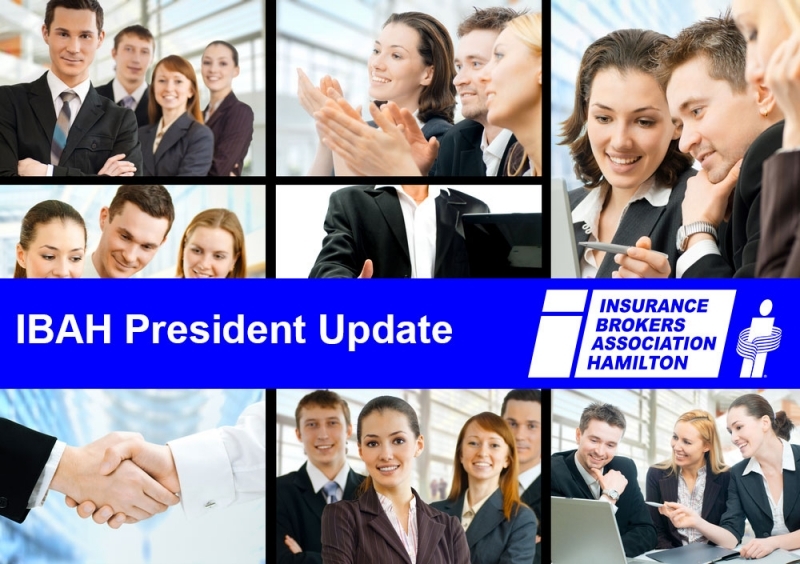 We continue to be one of the leading Basic Broker Preparation programs in Ontario. This year we will again have three more offerings. Held our annual Christmas Mix and Mingle event which was again well attended and a great time to visit with each other just prior to the busy Christmas Season. Stay tuned for details of this years Christmas Mix and Mingle occurring at the end of November. Launched a new broker donation campaign and were able to successfully partner and contribute to seven deserving charities in our community. If you were not able to participate the first time we will again be offering our ‘Bip The Town Magenta’ campaign again in November/December. Continued promotion of the Bipper throughout our communities whether as one of the head sponsors for the City Kidz Gala or sponsoring the Hamilton Mountain Cobra’s youth baseball team, to our continued support of Crime Stopper’s. If anyone is interested we still have spots on the board available If you or anyone you know is interested please see me or any of the other board members. We are also always open to suggestions or even criticisms of what we can be doing better. If you have any ideas or know how we can do something better please let us know. Lastly, this marked my final year in my two-year presidency and I as shift into my new role as Past-President I’d like to thank everyone for taking the time to introduce themselves and work with me over the year. The future of the IBAH is bright and I look forward as Ashely and Lynn lead us into the future. This article was written by IBAH Board President, Adam Veldpaus.